Many tests have been made for every character class, to make appropriate pvM damage (damage to monsters). Balance is made to be as much similar as can, so no OP or nerfed characters. 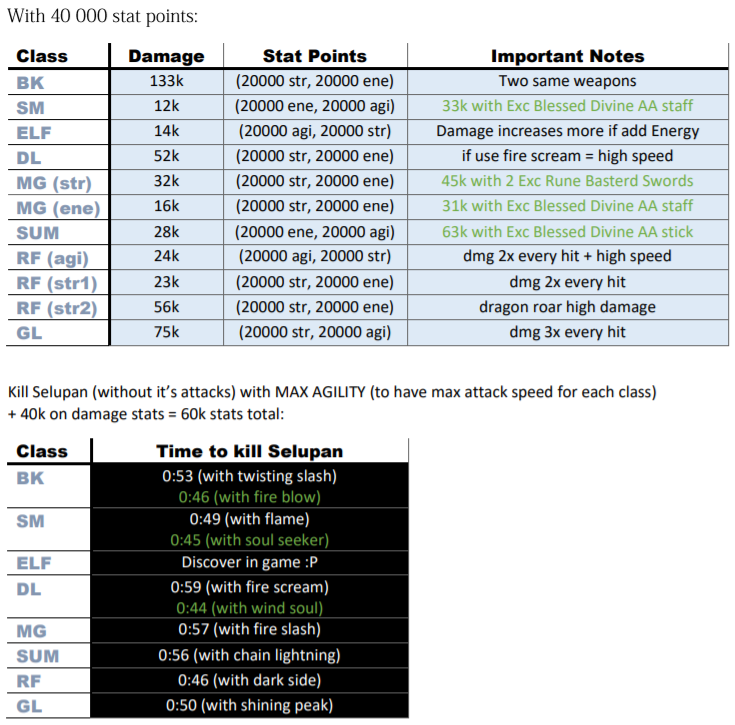 Every character damage builds differently and that's why may vary and differ from other class when add more or less points. Example if Summoner damage builds only from Energy, but BK damage builds from mostly Strength, but Energy also gives pretty big extra damage and Mana is necessary as well, so it has much more points to use for getting higher damage for some classes. Characters used: Level 300 without Master level and Master Skill tree! Sets and Weapons used: All the basic from NPC in-game shops (NO wings)! Damage - Character's made Critical Damage (blue)! 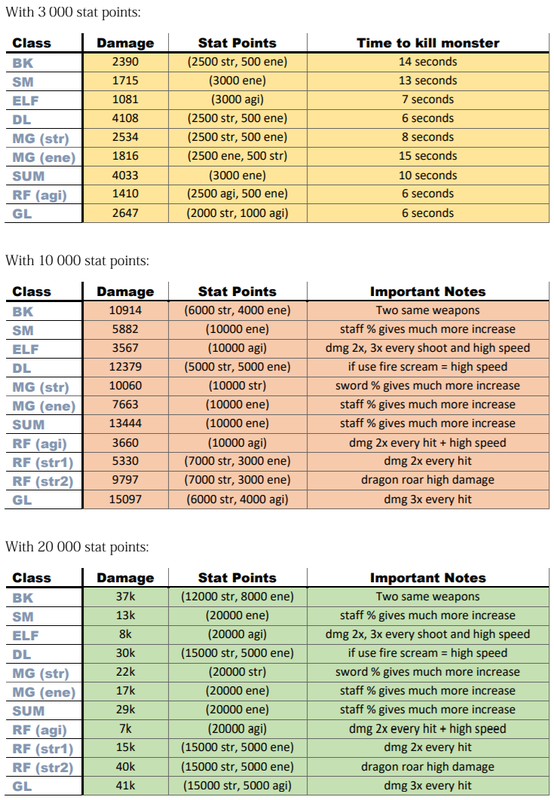 Stat Points - Combination of points added to characteristic which gives the most damage! Feel free to tell your opinion and suggest if you think something is needed to change!